- Just because an engineer can mix with headphones doesn’t mean the phones should be used exclusively. The perfect headphone mix might suddenly sound unfamiliar when heard over speakers. This is because once audio leaves a set of monitors, the room acoustics and reflections alter the characteristics of the sound. Since every room and most speakers are different, each space will have at least a minimally different sound. Some rooms over-represent certain frequencies (peaks caused by standing waves) and under-represent certain frequencies (dips caused by nulls). A skilled producer knows and expects this. Be aware that many untrained consumers will be listening to the tracks being mixed on the cheapest speakers in a less-than-ideal environment. This is the reason all mixes should be checked with various systems, both high-quality and low-quality headphones and audio monitors. 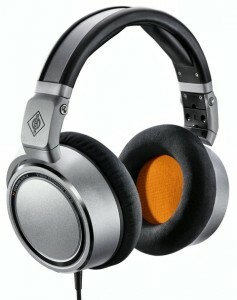 This varies across headphone models at all price points. If there’s an over-represented low-end bump as part of the frequency response of a pair of headphones, this could lead users to needlessly attenuate bass frequencies. Conversely, it could also lead to the reverse. A good engineer knows what he or she is using before a session. iZotope notes that just as one wouldn’t wear green-tinted glasses while color-grading a film, headsets with excessive coloration should not be used for mixing sound. Headphones that are as neutral as possible should be used to make objective choices. Seek out and know the frequency response of headphones in advance of the mixing session. - Use more than one set of headphones when monitoring. We constantly hear about the importance of monitoring a mix through multiple speakers. The same applies to headsets. Try a range of both top-shelf headphones to low-grade earbuds to monitor the mix. Work to perceive and understand the sonic differences each headset provides. Make sure the mix sounds good on all of them. - As to audio monitors, be sure to break in new models in advance. This means playing moderate levels of music with significant low frequency content through the speakers for at least twenty hours before using them in a mix. Once the transducers stabilize, the speakers reach the performance level the manufacturer specifies. - When mixing, set the listening level to about 85 dB SPL. A dB meter will help keep this level consistent. Mixing at loud levels can cause ear fatigue or damage to hearing. A good rule is to monitor audio at a level where you have to speak just a little bit louder than normal to talk to the person sitting next to you. If you have to shout, check the level. - Finally, when choosing secondary reference monitors, get old school favorites that are known and understood. It will help offer a level of trust when working with more modern and technically advanced monitors. The idea is get a solid overview of the sound, rather than a perfect mix on one set of speakers. What every audio pro learns is there is no single way to monitor sound. Even using the best headphones or studio monitors that money can buy, it is still important to listen to the mix in a car or on cheap speakers. That’s the way that most end users will hear it. Some studios even have replica cars to listen to mixes on car radios for this exact reason. Buy the most neutral gear you can afford for mixing, but listen on everything before making the final decision. It’s the way the pros do it.